Language arts related curriculum in kindergarten is foundational for future language skills. The kindergarten classroom is the nexus for early language development. Both the Common Core State Standards Initiative and the Montessori method of teaching explain the essential language-related kindergarten curricular goals. 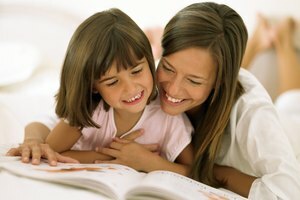 Knowing them can help you encourage your child's progress toward a lifelong ability to communicate effectively. Speaking clearly and in full sentences is an important milestone in your kindergartner's language development. As this skill develops, your kindergartner should begin to express their opinions or respond to questions about stories or ideas presented in the classroom. He should also be able to orally describe presented objects or images and converse fluidly with peers and adults. Your kindergartner's developing ability to listen and understand is also significant. 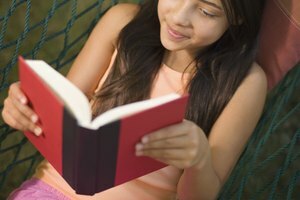 She should be able to express her understanding of stories read aloud and answer questions about them verbally. In addition, your kindergartner should be able to listen to and follow a simple set of verbal instructions and work to understand new situations through the recall of previously acquired knowledge. 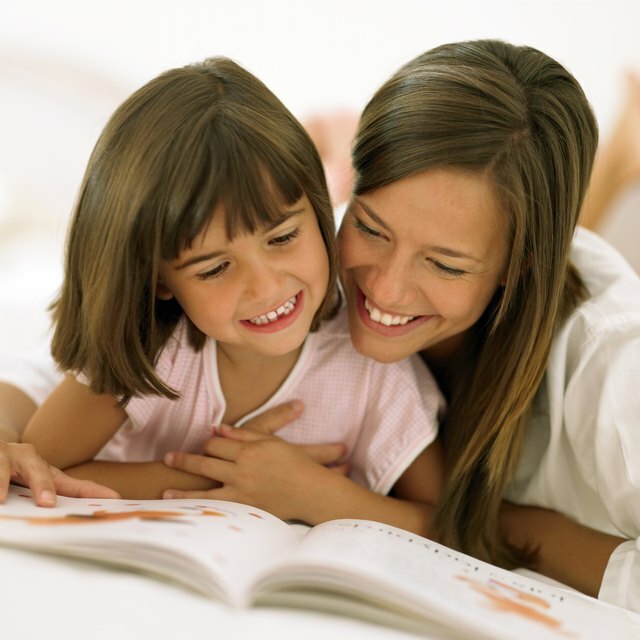 In addition to recognizing all the letters in the alphabet, your kindergartner should develop early reading skills. He will learn to differentiate between the cover and the pages of a book, follow words on a page from left to right and top to bottom and understand how letters come together to form words. Your kindergartner's skills should progress to include the ability to identify familiar words and sounds. Your kindergartner should also be able to recall, critique and compare the stories they read. Your kindergartner will master the ability to write both simple self-designed sentences and sentences that are read to him, including capitalizing the first letter of the sentence and placing the correct punctuation mark at the end of the sentence. When encountering an unfamiliar word, your kindergartner should attempt to spell it using knowledge of phonemes or how consonants and vowels sound. She should also be able to draw or write about a meaningful event or story and should be receptive to peer and adult encouragement to improve overall writing skills. J., Teresa. "Language-Related Curricular Goals for Kindergarten." Synonym, https://classroom.synonym.com/languagerelated-curricular-goals-kindergarten-10817.html. 26 September 2017.